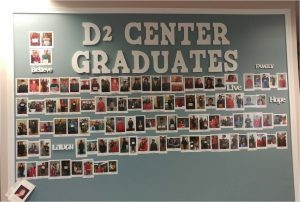 D2 Center Wall of Graduates is Live! 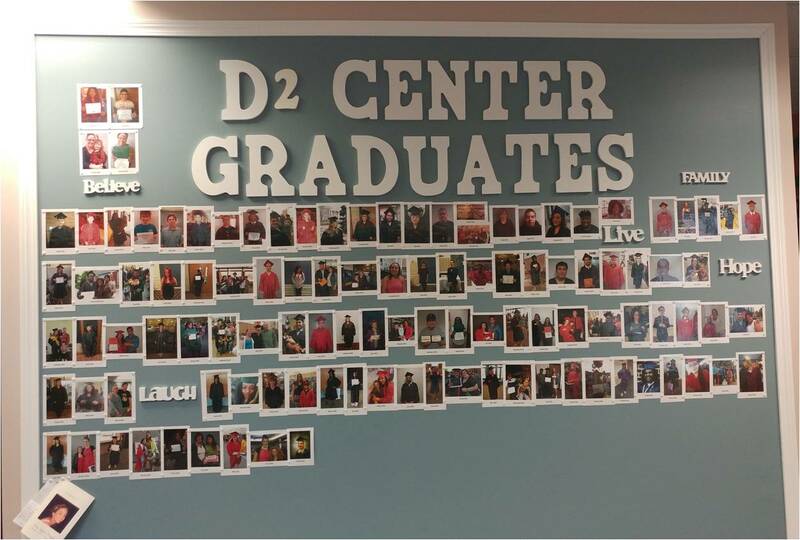 D2 Center Graduates Wall v2.0 is complete and ready for the next round of grads coming up in December! 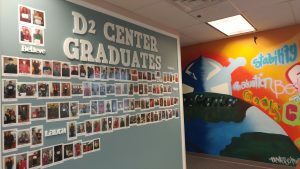 Director Greg Emmel constructed the frame, installed the letters, and put up the photos; student Tyler laminated and trimmed the photos; and honorary D2 Center employee Betsy Emmel came up with the design. Amazing job, folks! * But the biggest achievement of all is the students up on the wall who earned their high school diplomas! It’s the perfect complement for our Packasso Project mural. * With some additional support from Hansel Gonzalez, Curtis Morgan, and Carolyn Miller.